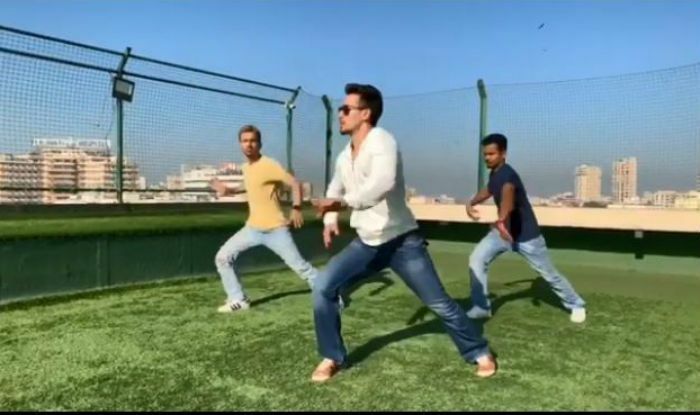 Tiger Shroff posted this video on his Instagram. More than 1.8 million people have watched this video so far. In the video, Tiger Shroff is in the fray with two people and Dilbar is dancing hard on the song. In this video, Tiger Shroff is dancing in a heartbeat in his own style and even belly dances are appearing. Interestingly, even though two more people are dancing in the video with Tiger, it will be difficult to remove the eye from Tiger. It is so clear to see this video that he is giving tough competition to Nora Fatehi. After watching Tiger's dance, the users are also fondly praising him on social media. Some of the users are saying Tiger's dance as Amazing. Let me tell you that Tiger Shroff is one of the best Bollywood dancers. Tiger is often posting videos of his dance, not only on films but on social media. Dilbar song is from John Abraham's film 'Satyamev Jayate'. The film 'Satyamev Jayate' was released on August 15 this year. The film did a great collection at the box office, as well as seeing the song 'Dilbar' of the movie became a favourite. Talking about Tiger Shroff, he is currently busy shooting for 'Student of the Year 2'. In this movie, Tiger is with Ananya Pandey and Tara Sutariya. Tiger was last seen in the film 'Baaghi 2'. In this film, Disha Patani with Tiger was in Lead Role. 'Baaghi 2' had broken many records of collections at the box office. In this film, Tiger first shared the screen with Girlfriend direction Patani.